Things will just keep getting stranger in Hawkins, Indiana. Although Stranger Things isn't expected to return for season 3 until late 2018 or early 2019, producer Shawn Levy recently told Glamour that he and the Duffer brothers already have all of the storylines planned. "It'll be an eight- or nine-episode season," he said. "The number of episodes will be dictated by the amount of story that excites us. We now know what is going to happen in season 3 to every character." Although Levy wouldn't reveal much, he did say that Will Byers (Noah Schnapp) won't have quite as much of a struggle as he had in the first two seasons. "We're going to give Will a break," he said. "We're not going to put Will through hell for a third season in a row. He'll be dealing with stuff, but he won't be at rock bottom the way we forced the amazing Noah Schnapp to play." So does that mean the Shadow Monster could turn all the attention to another character? "You might assume that," Levy said. "But you would probably end up being wrong. We're [going to be] dealing with forces of evil that are new." In the first season, a Demogorgon from another dimension wreaked havoc on Hawkins, only to have Eleven (Millie Bobby Brown) destroy it with telekinesis. The stakes were raised in season 2 when a much larger and more powerful creature nicknamed the Mind-Flayer was able to get inside Will's head and unleash Demodogs on the town. Eleven helped save the day again, but the final scene showed the Mind-Flayer still looming in The Upside-Down. It's not clear where these new "forces of evil" will come from. Maybe it'll involve more test subjects of the Hawkins National Laboratory. In Stranger Things 2, we met Kali (Linnea Berthelsen) in the divisive episode "The Lost Sister," and she demonstrated that the other test subjects like Eleven could have sinister motives to go with their super powers. 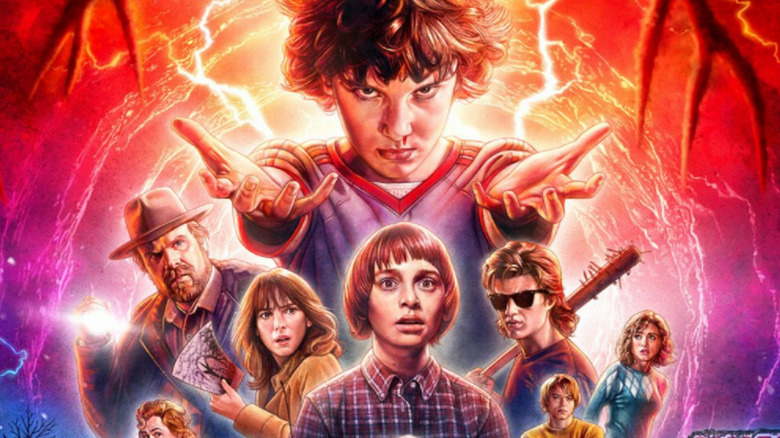 However, before the second season premiered, the Duffer brothers hinted that Stranger Things 2 would introduce the "main villain" for the rest of the show. That means we probably won't veer too far from the established storyline. Either way, we still have some time to theorize. Filming won't begin until this spring.